The Panthers have again elected for consistency, making just two changes to the team that defeated 2015 Premiers West Adelaide by 71 points last Sunday, with vice-captain Matt Rose and versatile wingman Pat Kerin being named to an extended bench. Rose rejoins the league side after breaking his hand in the Panthers final trial game of the pre-season (ironically against the Bulldogs in Elizabeth), but will need to pass a fitness test before he is cleared to play. Meanwhile, Kerin has been in exceptional form in the Reserves, including a best on ground performance against the Eagles in Round Two. Similarly only two changes have been made in the the Reserves, with youngster Ryan Need and new recruit James Wray named on an extended bench. 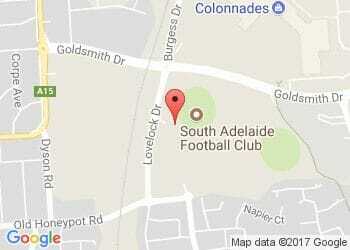 This Sunday also marks the Mayors Cup, which is traditionally played between South Adelaide and Central District each year. Meanwhile, if an undefeated start to the season isn't enough to get you to My Money House Oval on Saturday. How does FREE car parking and the chance to win $2,000 sound?